Hello my friends! I want to share with you a card I made for a couple of challenges today. I used the Club Scrap Paradise kit for my card. This kit is so colorful and fun with tropical images and papers. I decided to play at 2 challenges today. The 1st one is Crazy for Challenges and the theme was fruit! 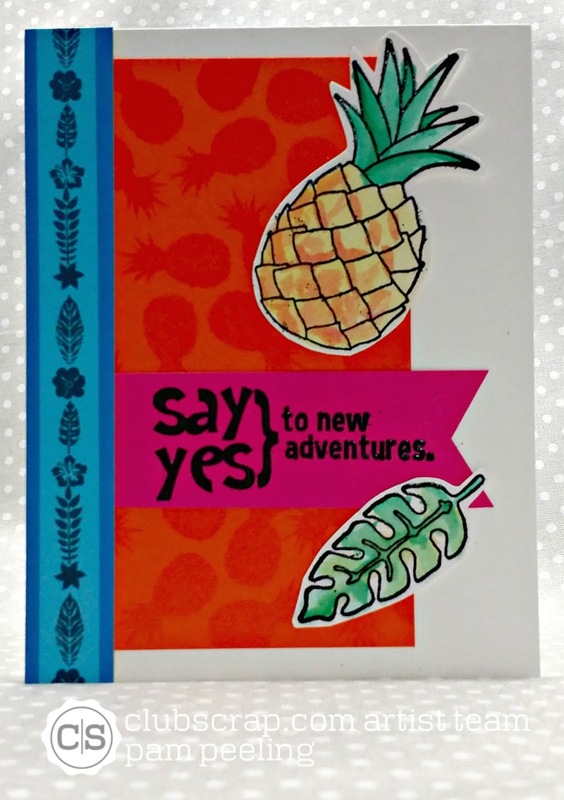 Perfect for this kit with it's pineapple paper and stamp image! 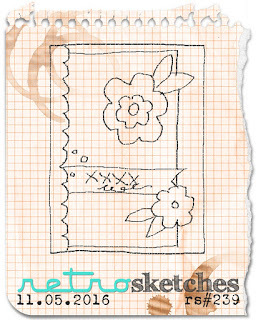 The 2nd is a sketch challenge over at Retro Sketches! I knew I wanted to use the fruit for the 1st challenge and the Retro Sketches challenge gave me the inspiration I needed for the design of my card! I embossed the stamped images with black embossing powder and colored in with an aqua painter. The sentiment is also embossing with black powder. The orange background paper that came with the deluxe kit is embossed with pineapples-so cute!! !